Together, we can restore Houston's resiliency. 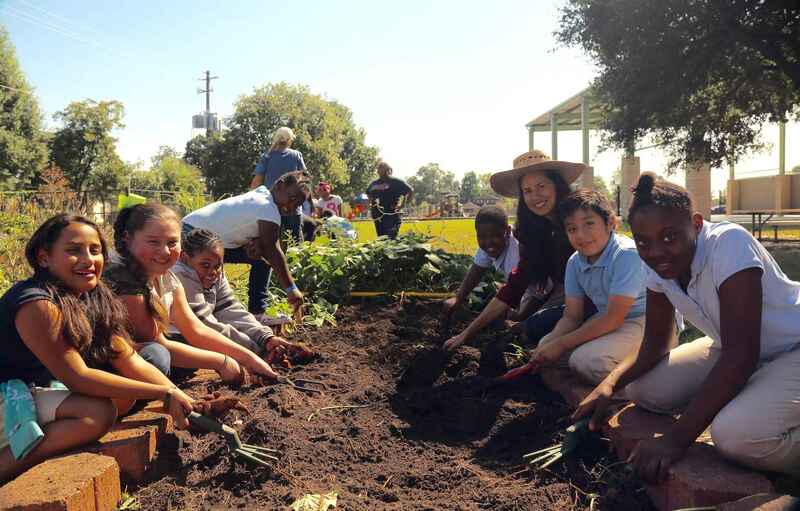 Throughout the Houston area, our community and school gardens serve a variety of groups, but they all have one singular mission - feeding people. Due to Hurricane Harvey, some of these gardens have received minor damage, while others have been totally destroyed. From now until September 30, you can play a part in re-building our local food system through a donation to our Harvey "Rebuild" efforts. The cost to rebuild one garden is $3,000, so your support is critical. Starting in October, Urban Harvest will begin distributing materials and coordinating rebuild volunteer work days in order to get these gardens back growing food and providing for those who need it most. Please consider a donation today toward our efforts for rebuilding our garden community.